Lithuania's Paralympic national team was seen off to Rio de Janeiro at a ceremony at Vilnius Cathedral Square on Wednesday. 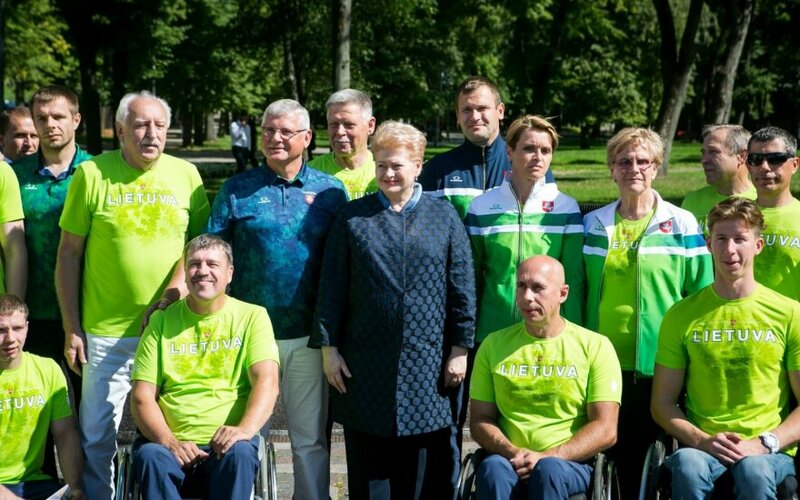 The Lithuanian team will include 13 members: track and field athletes, a swimmer, a judoka and a goalball team. "I personally prefer the Paralympic Games to the Olympic Games. It is a great honour for every country to have many Paralympic athletes, as they are the reflection of the country's level of development, the level or sports and people's will and striving to win. It is a reflection of our Lithuanian spirit, which you, the Paralympic athletes, realize in the best possible manner and demonstrate to us all. You are the best example for us. An example that one should not give in and that everything is possible," President Dalia Grybauskaitė said at the farewell ceremony. 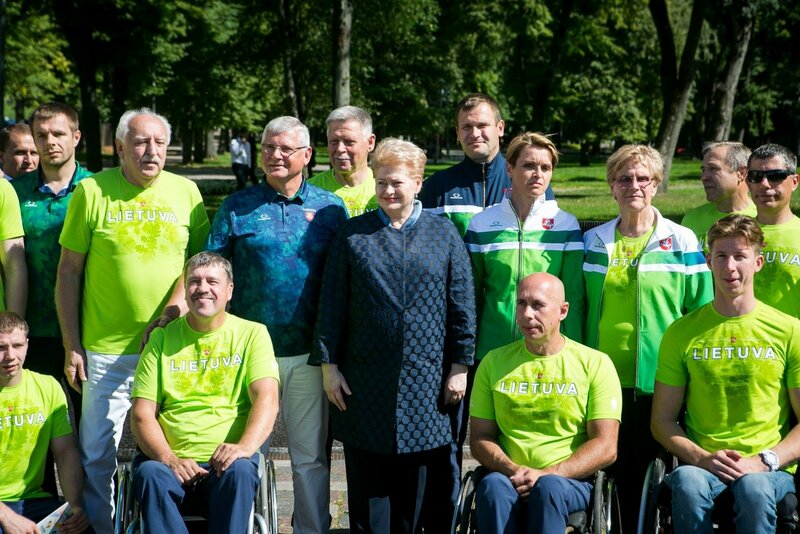 Lithuania has been taking part in the Paralympic Games since 1992 when the country won seven medals. In 1996, Lithuania won 10 medals, including three gold medals, bringing home three medals in 2000, seven medals including one gold in 2004 and one medal in 2008.